The Saul “Canelo” Alvarez vs. Gennady Golovkin sequence of fights will be remembered just as much for what happened outside of the ring as it will for what happened inside. The first bout which will now be memorably thought of for a decision that most found unsatisfying, a draw, to a massive pay-per-view fight, with the rematch happening September 15th at the T-Mobile Arena in Las Vegas, Nevada. The next few months after the draw was rough. From postponements of a scheduled second fight to a failed drug test that saw Canelo Alvarez removed from the May 5th bout in Las Vegas, Nevada, the fights between these two stars, has been anything, but easy. As we are roughly three weeks away from the big fight, it is still just as it has always been – awkward. The buzz for the bout surprisingly mirroring that as well. 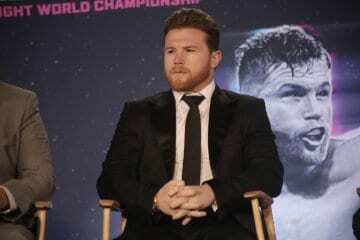 The promotion has been different the second time around as the rematch saw a remote press conference that was sent to the press with neither fighter having to face off with one and another, most speculating that Canelo didn’t want to answer questions from the press publically after his drug test failure. Outside of that both camps have been strikingly quiet for potentially one of the last major pay-per-view fights ever. The business of television is changing and boxing is a piece of that puzzle and with a monthly subscription-based model becoming the norm, pay-per-view fights are coming off as archaic and a thing of the past. Though people will still pay for a pay-per-view fight, it doesn’t seem like the moniker pay-per-view holds the same weight in 2018 as it did when Oscar De La Hoya fought Floyd Mayweather. As a NetFlix model that ESPN+ and upstart streaming sports company Dazn seem to be pushing out the old guards such as Golden Boy Promotions. Golovkin has held technically two media days for this bout, but both have been limited, to say the least. The first was a private media event in Big Bear Lake, Ca, in which roughly 90% of the boxing media was not allowed to or should I say invited to. Golovkin and his team created content that was sent out in a press release, which is entirely fine, but for one of the most accessible stars in boxing, it was a weird shift to be so reclusive. This past Sunday, both Golovkin, and Canelo got in the ring for fans in the L.A. area at the Banc of California Stadium in Los Angeles, Ca. The crowd was good, roughly 3,000 people, but a lingering sensation felt as though both sides wanted a bit more people there as the fight is getting attention, but not like one would have hoped for. This was Canelo’s first public appearance since his drug test failure and more than likely, it’ll be his only until fight week, which will also be limited to more than likely his check-in to the hotel, press conference, and weigh-in. The sides are now consensus as both are playing the blame game. As they’re both blaming the other for why the fight isn’t a bigger deal. A more vocal Golovkin took uncharacteristic shots at Canelo. “Canelo, he is not a champion. He is a liar who has no respect for the sport of boxing or its fans. 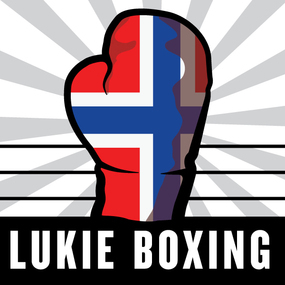 I want to stay world champion and bring all my belts home. I am ready to star in another Big Drama Show. 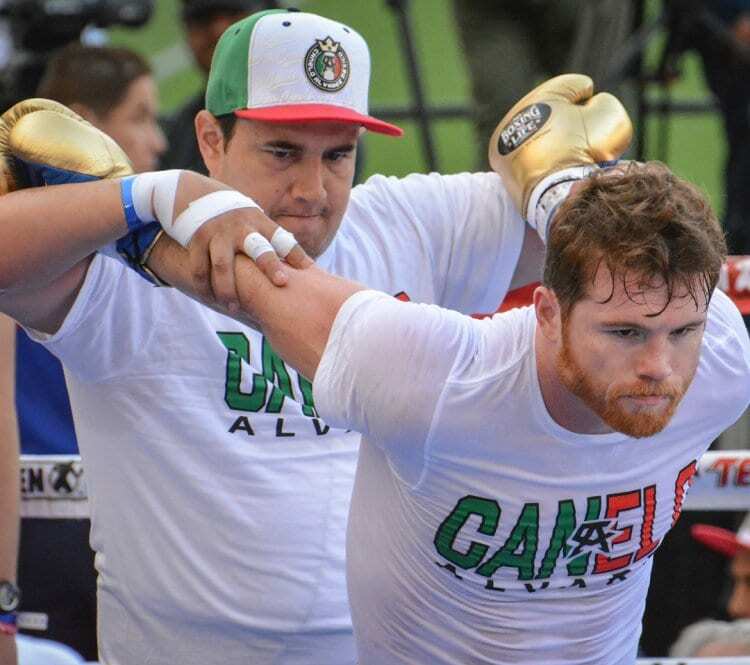 I do not think about Canelo in training. I am not worried about him. 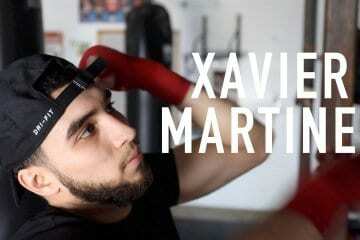 I only worry about doing my job in training camp and doing my job in the ring against Canelo on September 15. In the last fight, I did not feel any real power from Canelo. Just slaps. He is not the hardest puncher I have fought, but he is fast and quick. He is the most skilled fighter I have fought. He is a very good fighter. said Golovkin when thinking about the second bout. Another point of contention seems to be the racially laden term “Mexican-style”, a term that most have got used to for fighters who come forward and look to throw power punches. Golovkin, a Kazakhstanian fighter, who has used the verbiage of “Mexican-style” to find success in the Southern California boxing market. Canelo Alvarez, a Mexican born fighter, doesn’t seem to think that is a humorous bit of promotion when Golovkin says “Mexican-style” after his bouts. “There is no such thing as a Mexican style. There have been many fighters from Mexico with different styles. My style is mine. I’m Mexican and that’s what is important. Maybe Golovkin uses ‘Mexican Style’ to get fans, but he’s a hypocrite. If something were to happen in Mexico, he wouldn’t be there to support them.” Canelo Alvarez said. The tone of the statement essentially was one of looking at Golovkin as one who has prayed upon a culture’s identify for his own finical gain without any sense of civic duty. To be fair, outside of Jose Ramirez, we are seemingly void of any active fighters with a social message that I am aware of. Still it is an ugly truth that, despite Golovkin being so likable, a bit of his marketing was just that a gimmick or saying things people wanted to hear to get him liked in a certain region. Some of it was racial targeted, and a lot of people just turned a blind eye to it or found it humorous. Golovkin came in a transitionary time in the sport of boxing when Floyd Mayweather and Manny Pacquiao were leaving the sport and Vasyl Lomachenko, Terence Crawford and Errol Spence Jr. had yet to establish themselves as stars. Golovkin was a big puncher, who gave fans what they wanted – brutal violence, although often against limited opposition. Some of the frustration from Canelo Alvarez also seems to be the fact during the changing of eras in boxing, Golovkin took a bit of his shine catering to his demographic, the Mexican-American fans. Canelo Alvarez, on the hand, was a star who was groomed by Golden Boy Promotions to be the next in a great line of Mexican-American fighters. Alvarez fought and lost to Floyd Mayweather, but outside of that has faced tough competition and tried his hardest to live up the macho, Mexican bravado of fighters of the past like say a Julio Cesar Chavez Sr.
“Golovkin knows who I am. He knows who I’m about. Let me put it even better–he still doesn’t know how much more I have left to show. I’m looking forward to showing him that on September 15. I have to win convincingly. It has to be a knockout to erase any doubts. I’m very motivated for this win. I’m confident, but not overconfident about my opponent because I know who he is, but I’m confident in my preparation.” said Canelo Alvarez. The bout now is a grudge match, but it is also the fight defines both Canelo and Golovkin. One of these fighters, whether right or wrong, will be written off to a certain extent since this that defining fight in which two generational greats face-off for a clear winner. That being said, two things were taken away from the media day, 1) Canelo is smaller, much smaller and 2) the majority of people in press core feel that Canelo Alvarez will win the rematch and win it handily. With all that being said and with limited access to the fight, this is one of the bouts I want to be at for the simple reason, the narrative around the bout is so interesting. You have a star in Canelo and a fighter who so desperately wants to be a star and is beloved in certain regions in Golovkin. This is Golovkin’s moment to become a star and this is Canelo’s chance to punch his ticket to the hall of fame. On September 15th in Las Vegas, Nevada at the T-Mobile Arena and also available live on Pay-Per-View, the last wave of Pay-Per-View boxing will see one of its last acts with this fight.